Detroit, Michigan, 1959. Berry Gordy gathered the best musicians from the city's thriving jazz and blues scene for his new record company: Motown. They called themselves the Funk Brothers, and they were the greatest hit machine in the history of popular music. This is their story. Opening weekend $114,442 on 23 screens. Rated PG for language and thematic elements. With its Class of 2000, the Rock and Roll Hall of Fame added a “Sidemen” category. This intended to honor the musicians who played on many great tracks but who never got their due with the public. 2002’s documentary Standing In the Shadows of Motown goes farther as it matches faces and personalities with the names and music. As implied by the title, Standing focuses on “The Funk Brothers”, the Motown house musicians who powered the label’s tremendous string of hits. Two of these players have made it to the Rock Hall. Bassist James Jamerson entered with that first Class of 2000, and drummer Benny Benjamin received the honor in 2003. Unfortunately, both went into the Hall posthumously, so they don’t appear in new footage during Standing. However, plenty of surviving Brothers remain with us, so you’ll find lots of talent in Standing. Narrated by Andre Braugher, the program mixes modern interviews and performances with historical footage. The contemporary chats fall into three categories. Most importantly, we hear from the surviving Funk Brothers. We get remarks from keyboardist Joe Hunter, vibes/percussionist Jack Ashford, guitarist Joe Messina, bassist (1967-1972) Bob Babbitt, guitarist Eddie Willis, drummer Pistol Allen, drummer Uriel Jones, keyboardist Johnny Griffith, and guitarist Dennis Coffey. We also get comments circa 1978 and 1989 for keyboardist Earl Van Dyke and 1993 statements from guitarist Robert White. Contemporaries and relatives of the Funks fill the second category. We find information from Motown arranger/producer/songwriter Paul Riser, Motown lyricist Edward Holland, Motown singers Otis Williams and Martha Reeves, bassist’s son James Jamerson Jr. and daughter Penny Jamerson, Motown songwriter Brian Holland, Detroit blues singer and cousin of drummer Benny Benjamin Joe Weaver, former exotic dancer Lottie “The Body” Claiborne, and Detroit radio personality Jay Butler. Singer Stevie Wonder also shows up in a 1992 clip from the funeral of Earl Van Dyke. Finally, largely unrelated musicians show up in the final slate of interviewees. We get comments from the film’s producer, musician and writer Allan Slutsky, as well as Stevie Wonder bass player Nate Watts, John McLaughlin/Jean-Luc Ponty bassist Ralphe Armstrong, producer/drummer Steve Jordan, producer/bass player Don Was, singer/songwriter/guitarist Ben Harper, singer Joan Osborne, and singer/musician Meshell Ndegeocello. In regard to the modern performances, we find 12 tracks. These match various singers with the Funks. Gerald Levert launches the movie with the Four Tops “Reach Out I’ll Be There” and later contributes Jr. Walker’s “Shotgun”. Joan Osborne chimes in for Martha and the Vandellas’ “Heat Wave” plus Jimmy Ruffin’s “What Becomes of the Broken-Hearted”, while Meshell Ndegeocello does Smokey Robinson’s “You’ve Really Got a Hold On Me” and the Temptations’ “Cloud Nine”. Bootsy Collins appears on the Contours’ “Do You Love Me?” and the Capitols’ “Cool Jerk”, the only non-Motown tune of the bunch; the Funks did some sessions outside of the studio, so “Cool Jerk” represents that faction. From there, we get a roughly chronological examination of Motown’s history via the Funks. We find specific biographical information for a few key musicians like Jamerson, Benjamin, and keyboardist Van Dyke. Otherwise the movie sticks with general topics related to the subject. We learn about the “Snakepit”, the nickname for the studio in which the songs were recorded. We learn about their touring days and different influences on the music. For example, we hear how a stripper helped the Funks come up with the rhythm of “I Heard It Through the Grapevine”. All of this follows Motown from its late Fifties origins until the studio’s formal move to Los Angeles in the early Seventies. Most of the Funks stayed in Detroit, so that shift essentially ended their participation. We do find out some poignant material about their later years, with a particular emphasis on the legendary Jamerson. Standing definitely treats Jamerson as the big man, which makes sense. There’s a good reason why he was the sole Motown musician among that initial Rock Hall class of sidemen. While Paul McCartney remains my favorite bass player and my personal pick as the best ever, I can’t muster a strong argument against Jamerson’s possible claim to that title. After I watched Standing, I had Motown tunes on my mind for days. Inevitably, when I thought of them, the basslines dominated my impressions. Jamerson made the bass dance, and his playing propelled the songs to a degree not normally heard. All of the Funks added a lot to the material, but without Jamerson, I don’t know if Motown would have become so legendary. It’d be great to see an entire film about the life of Jamerson; even though his presence dominates Standing, it’s not quite enough. That’s one problem with Standing: it bites off a little more than it can chew. So many great musicians played on those records that it becomes inevitable some will get the short shrift. The somewhat disjointed nature of Standing doesn’t help. Though the film follows a vaguely chronological progression, it fails to do so in a concise manner. It bops around from topic to topic; the timeline seems more incidental than anything else, as though the filmmakers lacked much interest in such a form of storytelling. At times Standing comes across as excessively reverential. We hear lots about the greatness of the players and their legacy. While these assertions are accurate, we don’t need to be told this so frequently. The music speaks for itself, and the film can be too talky at times. Some of the better scenes break down the songs and give us details about the different performances; those sequences help demonstrate the players’ effectiveness much more clearly than hearing Don Was tell us so. The modern performances are a nice touch. The work of the different performers varies. Chaka Khan seems surprisingly lackluster in her work; to my surprise, Montell Jordan totally blows her off the stage in a version of “Mountain” that falls short of its goals due to Khan’s blandness. Harper also invokes the Motown sound vividly and fits with the musicians well. Osborne seems a little out of place but she doesn’t embarrass herself at least. The absence of many Motown singers during the program seems unfortunate. Of the classic performers, we only hear from Martha Reeves and Temptation Otis Williams. Yes, Stevie Wonder pops up in a soundbite from 1992, but that’s it. Why do we get so little material from the famous vocalists? I have no idea. At first, I thought that perhaps the filmmakers wanted to keep the emphasis on the Funks and not on the better-known singers, but if that was the case, why would we find the smattering of interviews of this sort that we do get? I don’t know if the filmmakers consciously avoided interviews with more performers or if those folks didn’t want to participate in the project. Either way, their absence seems notable. More of a general introduction to the backbone of Motown than a strict history, Standing In the Shadows of Motown nonetheless provides a reasonably rousing piece of work. The film lacks great coherence and shows a number of minor defects, but it overcomes these with the value of its material. 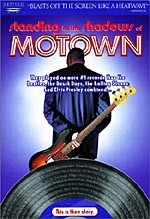 It’s great for the talented musicians behind the Motown sound to finally get some credit, and they tell their tales in generally lively and entertaining ways. Easily the best parts of Standing come from their interviews and anecdotes, as these help us better understand the creative processes. I’d prefer a more comprehensive examination of that work instead of the extraneous elements that occasionally make the movie drag, but overall Standing remains a vivid portrait of the Funk Brothers’ musical legacy. Standing In the Shadows of Motown appears in an aspect ratio of approximately 1.78:1 on this single-sided, double-layered DVD; the image has been enhanced for 16X9 televisions. With material from a variety of sources, Standing proved to be a tough film to transfer, and the results seemed decent but erratic. A lot of Standing consisted of archival footage, but I didn’t factor those pieces into my “C” grade. Most of those elements showed stills anyway, as we didn’t see too many film clips, and the ones that appeared went past quickly. The older bits demonstrated expected flaws but were acceptable for the most part. As for the modern footage, it showed a mix of issues. Sharpness varied from nicely distinct and accurate to somewhat soft and fuzzy. Mostly the latter concern affected wide shots, but some medium images also came across as moderately ill defined. Standing mixed film footage with video material, and the latter caused the greatest level of problems. The worst offender stemmed from a clip with Bob Babbitt and Meshell Ndegeocello; it seemed very rough and jaggie. Other shots showed similar concerns, but not to the same level. Moiré effects weren’t a problem, but I did notice some light edge enhancement at times. Source flaws popped up more frequently than I’d like. A mix of artifacting and grain gave the movie a rough look much of the time. Those issues affected mainly the videotaped and interview segments. The concert performances demonstrated few of these concerns, but the other elements showed a lot of grain/artifacts. I also noticed occasional examples of specks, marks, grit and other defects, but the grain/artifacts created the majority of the problems. Standing didn’t display a very vivid palette, but it replicated its colors acceptably well. The tones looked reasonably concise and distinct. Nothing about them stood out, but they also failed to display any concerns. Black levels seemed fairly deep but could be somewhat flat and bland, and shadow detail was also a bit flat and listless. Again, the performance clips offered the best elements of the film. These displayed almost none of the problems I mentioned elsewhere. However, too much of the movie consisted of non-performance segments to elevate the image above a “C”, as a lot of it looked somewhat problematic. On the other hand, the audio of Standing In the Shadows of Motown seemed consistently satisfying. The DVD included both DTS ES 6.1 and Dolby Digital EX 5.1 soundtracks. To these ears, the pair sounded virtually identical, as I noticed no discernible differences between the mixes. That was fine with me, as the audio worked very well. Not surprisingly, music dominated the tracks, and those elements displayed fine stereo imaging. During the concert segments, the music spread richly across the front speakers. Vocals remained centered while instruments mixed cleanly over the spectrum and got the appropriate localization. The mix packed a lot of instruments, and these seemed placed logically and accurately. All of them blended together smoothly and created a great sense of environment. Non-concert pieces also showed fairly solid involvement, though they weren’t as impressive as the performances. These mostly focused on speech, but they tossed in some background music and effects as well. Those generally came across as subdued, though the movie generated some good use of effects. For example, when it got to the Vietnam era, a helicopter buzzed around the front and rear speakers. The surrounds otherwise mostly reinforced the front channels and offered some echo and crowd noise during the concert segments. Audio quality sounded positive. Speech was concise and natural, as I noticed no problems related to edginess or intelligibility. A little too much echo affected the narration at times, however, as Braugher’s lines occasionally blended into the side and rears a little distractingly. Effects appeared accurate and tight as well, and they demonstrated no issues related to distortion. Music dominated the program, and the songs sounded dynamic and vibrant. Vocals manifested nice warmth and clarity, and the instruments seemed clean and vivid. Bass response was deep and tight and added nice bottom to the program. All in all, the audio of Standing appeared positive and earned a solid “B+” grade. Artisan packed this two-disc set with lots of extras. On DVD One we start with an audio commentary from director Paul Justman and producer Allan Slutsky, both of whom sit together for this running, screen-specific piece. The pair offer a lot of good information that helps round out the movie. They get into the creation of the film and detail its participants in a more personal way; we hear of their own interactions with the various Funk Brothers and other biographical elements. We find notes about technical elements and anecdotes about the flick plus historical information and context. Overall, the commentary adds to the package and gives us a good amount of extra material about the subject. In a fun touch, the DVD includes a solid trivia track. This informative and useful piece mixes elements like biographical details, comments about various songs, identification of people in pictures, behind the scenes factoids, credits for songs, historical references and more. The material concisely reflects the action on the screen at the time, and it adds a lot of valuable notes to the set. How It All Began splits into two different sections. For “The Photo That Started It All”, we see a 1989 snap of some Funk Brothers with other Detroit musicians. Slutsky adds three minutes of commentary to tell us the significance of this picture and how it started the ball rolling on the project. “The Video That Started It All” lasts five minutes, 31 seconds, and it includes remarks from Justman. This shows a 1993 promotional clip created to garner backing for the flick. We get interviews with keyboardist Joe Hunter, drummers Uriel Jones and Richard “Pistol” Allen, percussionist Jack Ashford, guitarist Robert White, and bassist Bob Babbitt. A short but effective teaser for the then-future project, “Video” offers some fun stories from the Funks and makes me wish the final product more closely resembled it. A Trailer Gallery includes promos for The Temptations and Artisan’s “Chart Topping DVDs”; that ad touts discs like Reservoir Dogs and Total Recall. Disc One’s DVD-ROM materials include “BMWFilms.com Presents The Hire”. 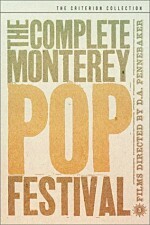 This features three short films: “Hostage”, “Ticker”, and “Beat the Devil”. I’d comment on them if I could have gotten them to work. Unfortunately, my DVD-ROM drive failed to run the various movies. DVD Two provides a bunch of additional materials. Dinner with the Funk Brothers lasts 11 minutes and 37 seconds and offers exactly what it implies. We sit for a meal in 2002 with the surviving musicians. They shoot the breeze and also offer their reflections on the reception accorded the film. Not much valuable information appears in this piece, but it offers a fun look at the guys in a casual and relaxed setting. Next we find 15 Deleted Scenes. These fill a total of 28 minutes and four seconds as we get a mix of excised segments. We see bits like the guys meeting each other for the first time in years, and we get a lot of musical jamming. The best parts expand upon their Motown experiences, and we find some great stories in that regard. The “Deleted Scenes” are something of a mixed bag, but there’s some solid stuff here. The Multi-Angle Jam Sessions cover three different tunes recorded by the surviving Funks. These provide two different angles per track and also offer both Dolby Digital 5.1 and Dolby Surround 2.0 options. None of the songs rocked my world, and the footage seems fairly dull, but it’s still nice to see the Funks in action once again. For a short tribute to the deceased Funks, we go to The Ones That Didn’t Make It. This 13-minute and 32-second piece pays tribute to Johnny Griffith, James Jamerson, Benny Benjamin, Eddie “Bongo” Brown, Earl Van Dyke, and Robert White. The remaining funks and others like Slutsky chat about the musicians. Nothing terribly new appears here, but the memorial seems tasteful and appropriate anyway. Somewhat less useful is At Long Last Glory, a seven-minute and 36-second featurette. This program basically recaps the process behind the creation of the film, and we also hear the joy from the Funks over their belated recognition. This piece seems a little too self-congratulatory for my tastes, though it’s nice to see the post-release emotions of the musicians. All told, these biographies fill 56 minutes and 52 seconds of video space. The interviews give us more of the material that occupied the best parts of the movie, as we hear the Funks relate their experiences. This is great stuff, and the text components make the program even better. It’s terrific to find out who played on which songs, though it’s too bad they didn’t go all the way and provide a complete discography for each musician. 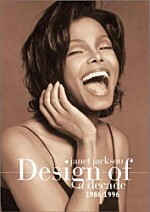 A detailed and engrossing collection of information, the “Biographies” provide terrific material. Probably the weakest extra on DVD Two, the Music Video Montage runs two minutes, 17 seconds and simply marries movie outtakes and photos along with one of the Motown-style instrumentals already heard during the “Multi-Angle Jam Sessions”. It’s pretty much a waste of time. The Funk Brothers Discography lists the songs on which they played. It’s not as specific as I’d like; the selected discographies in the “Biographies” area seem much more useful since they indicate who played on which songs. Honorable Mentions gives us four screens of text that mentions other players on Motown tracks. At least one Easter Egg appears. 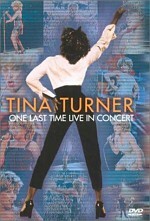 On DVD Two’s second screen, click to the right to highlight a microphone. This accesses a music video for a 125-second music video from some unnamed and untalented white boy rapper who extols the virtues of the Funks. It’s not exactly a great tribute to the musicians. Disc Two concludes with a mix of DVD-ROM extras. According to the case, it includes a “Hi-Resolution DVD-ROM Playable Version” of the film as well as an “Interactive Virtual Recording Studio”. It also tosses in a link for a contest. I didn’t follow through on that last one since it required a download I didn’t care to undertake. I did attempt the other two, but unfortunately, once again they wouldn’t run on my computer. Even after I tried to get the Windows Media download it required, the final product wouldn’t function on my machine. This means I can’t offer any comments on the DVD-ROM bits other than to mention their existence. Finally, the package includes a 12-page booklet. This provides a recent essay from producer Slutzky as he recaps how the story of the Funks came to the screen. We also get a quick “Director’s Reflection” from Justman as well as some nice text biographies for 13 of the musicians. Standing In the Shadows of Motown offers a simply splendid package. The movie itself seems somewhat erratic but the material at its core makes it enjoyable and illuminating. Picture quality appears flawed due to the melange of sources, but audio works very well and the set includes a fantastic roster of extras. The latter elements help make this package absolutely winning. They expand on the film’s information in a marvelous way and earn the price of admission on their own. Music fans definitely should give Standing a gander.